All following tips are from my personal experience with 12+ hours flights. The more you fly, the easier it becomes. Mostly to just avoid the unnecessary stress. Also doing early check-in gives you a tiny chance of being upgraded. At least for some better seats (exit row, front row, etc.). It is a must! 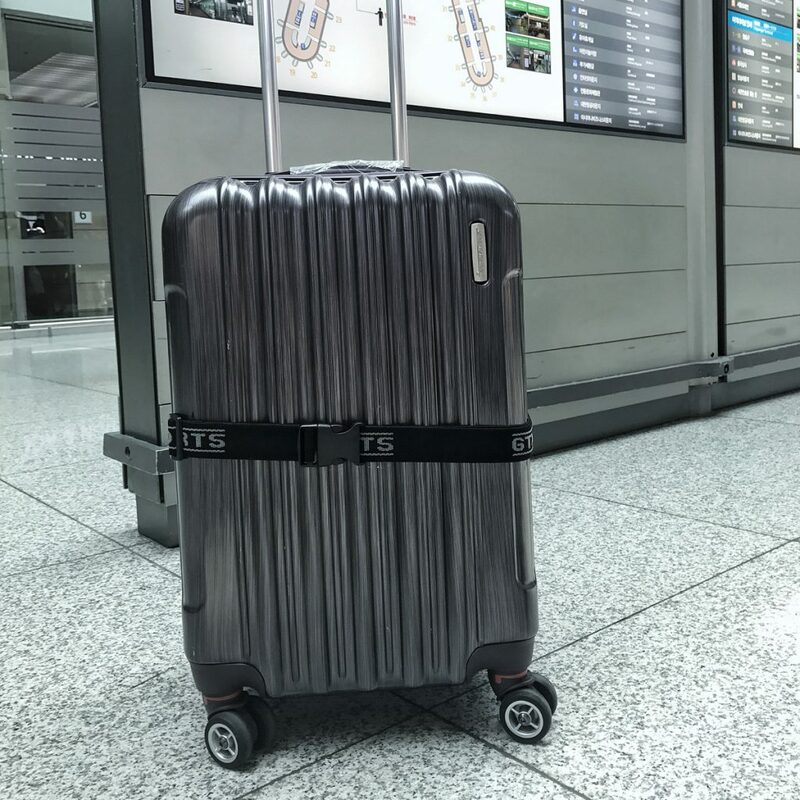 Find as smooth rolling wheels as possible, and the luggage will move by itself. To be honest, strategy for picking the best seat deserves its own article. 1. If you are tall and want to walk around a lot, definitely pick the aisle seat. 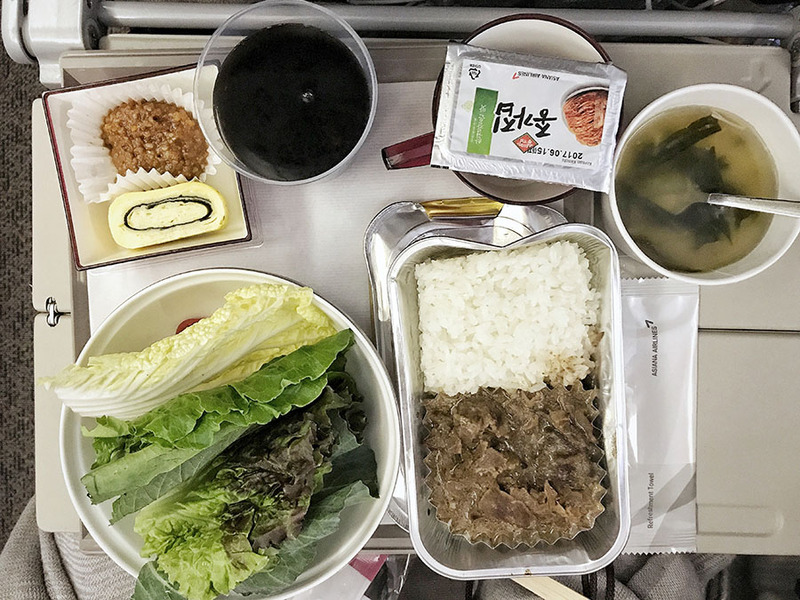 Airplane food is not the great. And it will eventually make you want to fart. This gets worse towards the end of the flight. Don't be afraid or feel awkward. Stand and stretch next to the exit doors or toilets as long as you need. No one cares. Pillow, Eye Mask, Earplugs or Noise canceling headphones. Bring some pillow, ideally some travel neck pillow. It's challenging to find a good sleeping position, and even if the airline provides some pillow, it is usually not very useful. Neck pillow will help. If you are sensitive to light when you sleep, eye mask is a must. 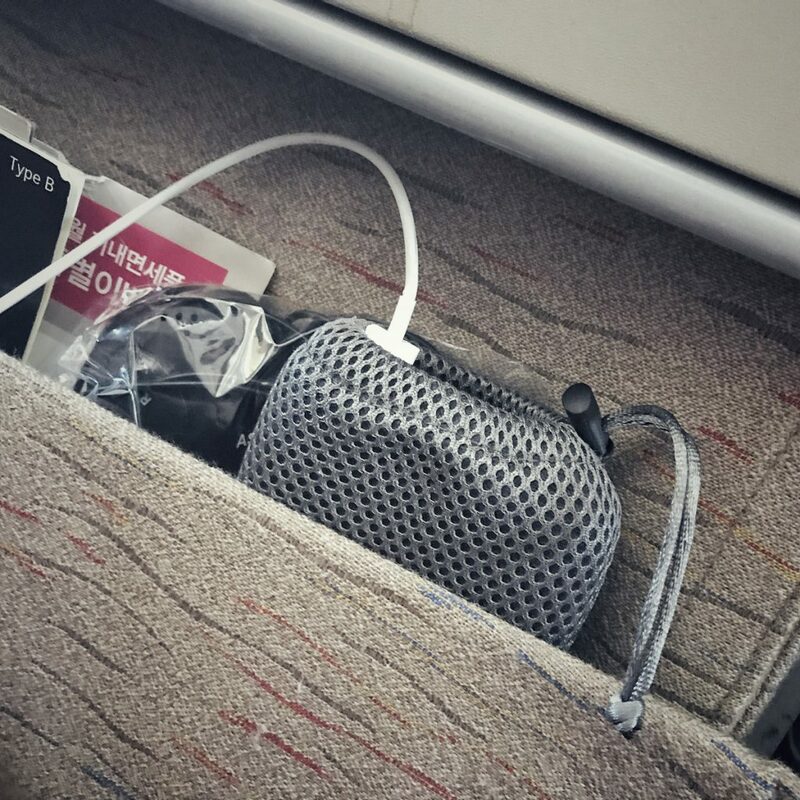 I usually don't use any noise-canceling headphones or earplugs, but I have them always with me, just in case. I never used any sleeping pills, so I can't give you any recommendation in this area. To be honest, I usually get into the plane well rested, so I don't want to sleep on the plane. Instead, I get proper sleep at the destination. Plan your toilet visits before the food is served or be ready to wait up to 2 hours after the meal. 1–2 hours after the food everyone needs to go to the toilet so there will be queues. 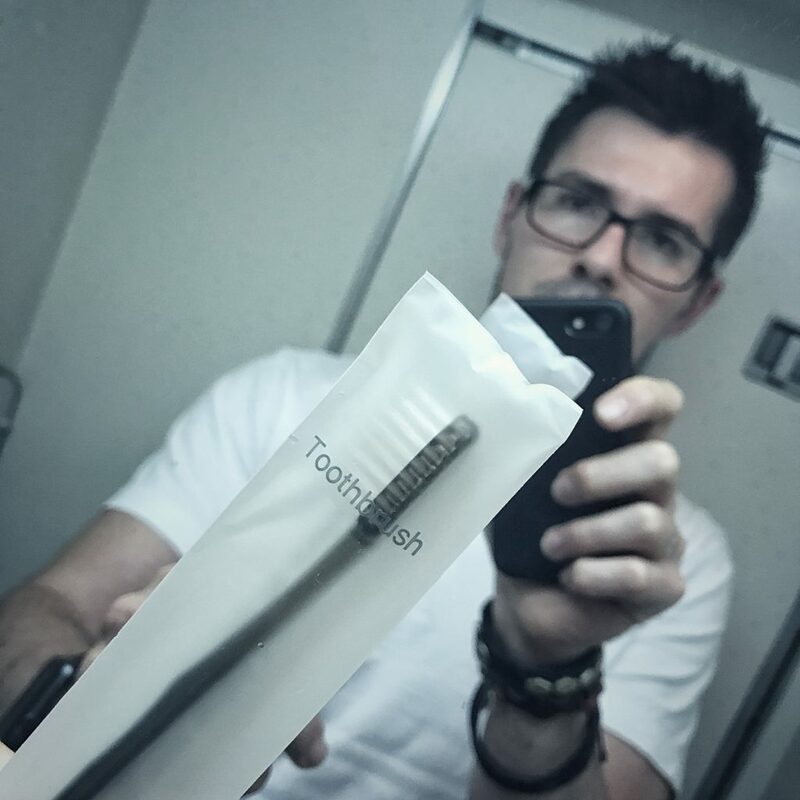 Some airlines provide a toothbrush and toothpaste, however, bring your own. It's nice to refresh your breath after the food, before landing or at the airport. It's essential to stay entertained during the long flight. Entertainment systems and movie selection are usually pretty decent these days. But if you have some tv show, movies or games you love, download them on your phone or tablet. It will help you cut a few hours of boredom. Phones, Tablets, Laptops require energy. On the most flights lately, there are power sockets and USB sockets. However, I always have a fully charged battery pack with me. For some reason, air condition in the airplane is usually set to 'freezing.' Some airlines give you the blanket; some don't. Air in the airplanes is arid. Newer planes are increasing humidity, but mostly it's dry. If you have an aisle seat, you don't need to worry about the need to go to the toilet. Research your transport options at the destination on the internet before your flight! Can you book transportation? Pre-order some travel card, bus or train ticket? You will be tired after a long time on the plane. It's good to be ready to get to your accommodation as smooth and fast as possible. Flying a long-haul flight can give you a lot of mileage. Register in the airline frequent flyer program and get all the miles you can. It can help you to get some benefits (access to the airport lounge, priority check-in, etc.) in the future. And hopefully, an occasional flight in the business class. 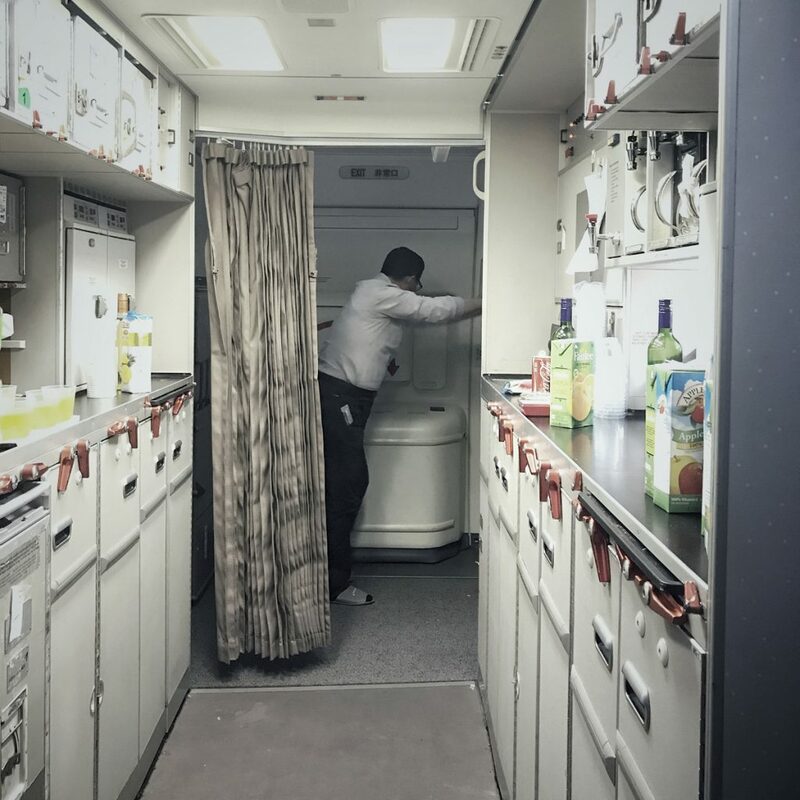 There is a lot of talk on the internet about how are planes full of bacteria. In general, I believe it, but I don't put any additional effort and most of the time I am ok. If you are living reasonably healthy lifestyle with the standard immune system, you should be fine. If there is someone with the flu in the plane, there is not much you can do to avoid being ill. If you need something (water, some snacks, pillow, blanket, etc.) don't be afraid to ask. Be polite and not too demanding (they have another 200 people to take care of) and they will help you.